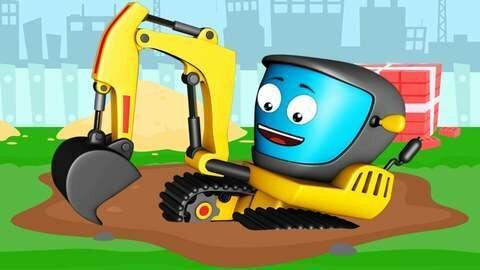 The Yellow Excavator is busy digging when it finds a brick in this car cartoon for toddlers. He throws the brick away and hits the Purple Monster truck accidentally, which also throws the bring back to hit the Excavator. They try to get back at each other but in the end they get covered in cement and are stuck in place. Other funny yet educational videos of cars for children can be found at Kivitu.com so visit them today.